sprinkles of cheese on top. Cereal with milk. Peanut butter helped us stick together. 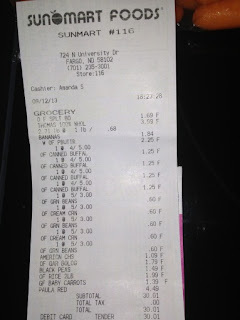 We had purchased fruit a couple of days prior to the Challenge, and we worked that purchase of 4 apples and 4 pears into our budget. Our hearts sank when we cut into one pear and found half of it bad, leaving less to eat at supper, no money left to go back to the store to purchase more. My husband return the pear to the grocery store and they gave us double our money back. Because we weren't working that evening, have a reliable car, and live just under a mile from the store, we could do this. 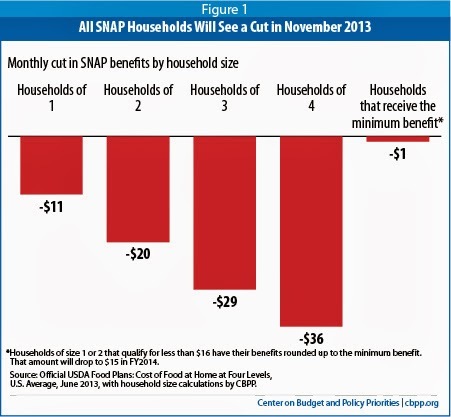 Not the case for many others relying on SNAP benefits. Consider, if you will, some of our state’s senior citizens who live in small towns without grocery stores who may not be able to drive 30 or 50 miles to the nearest grocery store if this happened to them. 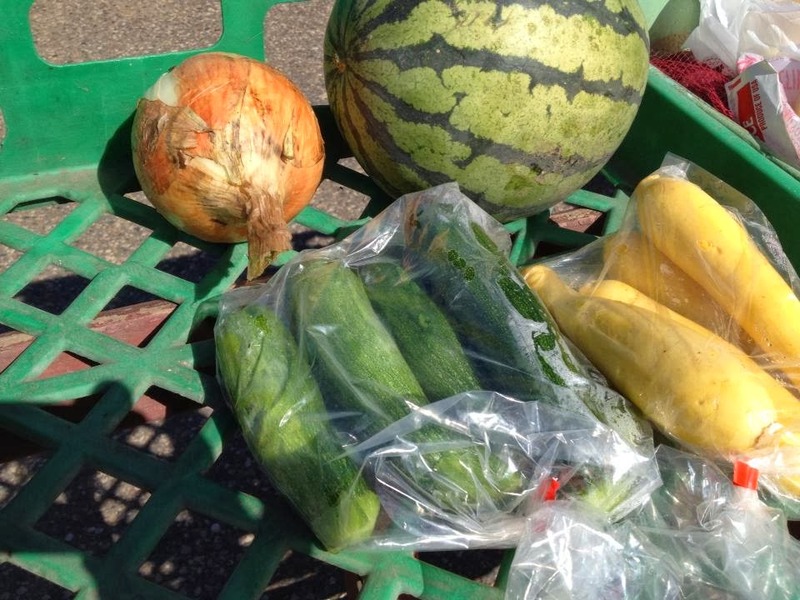 We used $8.00 of our budget to shop at the Farmers Market for melon, zucchini and one large onion, as SNAP benefits are accepted at a few farmers markets in the state. We added flavor from basil growing in a pot outside. Emily snacked on cherry tomatoes from a plant in our yard for an after-school snack. A little-known option of the SNAP program is that a person can use their benefits to purchase seeds or seedlings. If a family can find the means to set aside some of their benefits in the spring, there can be a great return on that investment at this time of year. It was really helpful to be able to use "pooled resources" as a family. When I've read the experiences of others taking this Challenge, they have been single, and had to put resources toward items in amounts as packaged, which often doesn’t support buying a variety of foods. 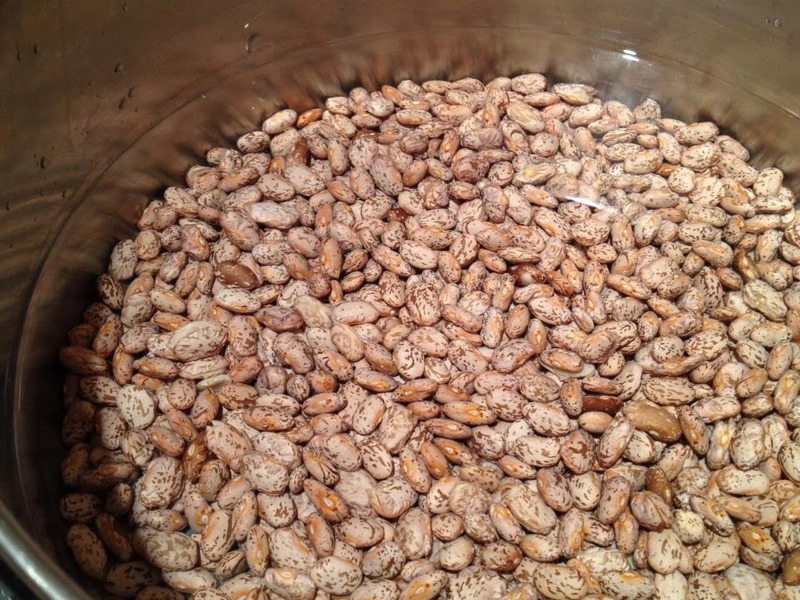 That pound of dry beans, which cooked up to 6 cups of cooked beans, can get monotonous for one person over a week. 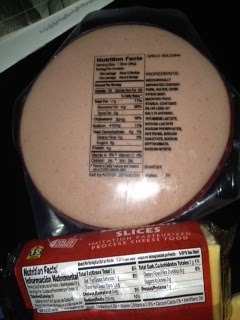 One of our compromises was a commercial bread that was much cheaper and has 24 slices (compared to the more expensive and higher nutrition quality bread we usually purchase). In the middle of the week at lunch I had a peanut butter sandwich with just one slice of bread, as I wanted to be sure there would be enough to last. We made the bread stretch to the last day, but that lunch did not stretch to last me well to dinnertime. 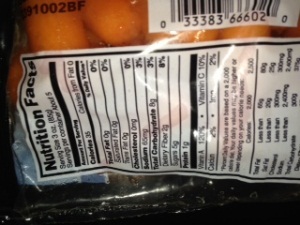 Although I didn’t experience a great deal of hunger pangs, what I did feel is complicated by a minor health issue. I have some mild acid reflux that I manage that by eating small meals or snacks every few hours. 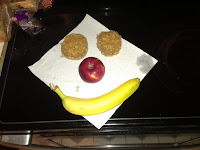 But this week I didn’t have the food resources to do that; I had to stick to the “three square meals” pattern. The day with the small peanut butter sandwich was worse, as I ate my lunch early and was “on empty” for several hours. The feeling is like hunger pangs, but it burns more. This calls to mind over half the people in our state who are living with chronic diseases, like diabetes, heart disease or cancer. Not only can adequate nutrition prevent such diseases, it is crucial for managing them once we have them. It hit us about how hard it could be to build a pantry on a very limited budget. How can you purchase for the future while trying to meet today's needs first? We could have blown one day's worth of resources on one jar of spices to make a delicious recipe. We would have it for some time to come, but what will we eat today if we do that? Duane has this idea of providing a "head start" to people with few resources: staple foods like oil, grains, dry beans, etc. so they can build a better life. 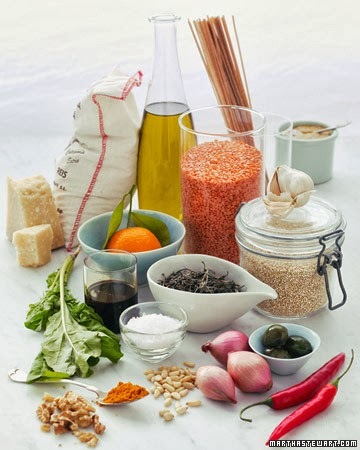 A well-stocked pantry is like a down-payment on a house - once it's there, a family has so many more other doors open to them, so many more options available. And speaking of a head start, Head Start Programs are also like a down payment on a better life - opening so many more doors and the chance for a better, healthier life for our children. We did it. We pulled it together. We had a few teaspoons of peanut butter, a few sprinkles of cheese and some toasted oat cereal left. We RAN OUT of some foods. But to anyone who says that accessing food through SNAP is “taking the easy way out,” I encourage you to try it yourself. I encourage anyone who helps others make decisions about food to buy or eat to take the Challenge. I also recommend that any elected official who makes decisions about spending on food and nutrition programs, if not ever experienced a scarcity of food in their lives, to step up to take the Challenge. It will change how you think about how people access what is necessary for all human life: food. My family- my husband, teenage daughter and I- took the SNAP Challenge during Hunger Action Month, September, in order to gain a better understanding of what it’s like to live with very few resources for food. 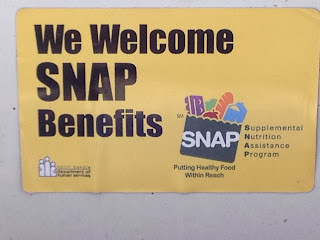 We undertook this Challenge just days before the U.S. House of Representatives voted to make $40 billion cuts to the SNAP program and split the last 50 years of eaters and farmers being linked together in the Farm Bill. We were challenged to live on the average amount that a person receiving SNAP benefits receives on average in North Dakota: $4.25 per day. Yes, you read right, the amount that some of us spend on one coffee beverage. This amount calculated out to be $63.75 for the three of us for five days. As we got ready to start, we felt humbled and grateful for the food skills and knowledge we have already in our training to become a registered dietitian and chef. We have each other for support, reliable vehicles to get us to grocery stores and markets nearby, and a background of some scarcity and thriftiness. My husband, Duane, and his family received food stamp benefits for a time while both his parents were working full-time at low wage jobs. If there is one thing we hope to pass along, it is to help others understand the food-related decisions many of us take for granted each day. We have been blessed and have had the opportunity to work toward many resources like a well-stocked pantry, cooking tools, pots and pans, a great stove and refrigerator. Many in our country don't come to the table with nearly this much. Grocery shopping takes a long time when you need to budget down to the penny. We made many comprises. We spent more than an hour planning for our purchases and shopped at least three places, fully recognizing that our choices were "small potatoes" compared to day-in, day-out really hard choices that others face when it comes to making tough choices on rent, childcare, transportation, medical expenses, etc. My husband and I found ourselves preoccupied by thoughts of food. I woke up in the middle of the night and couldn’t get back to sleep, trying to figure out what we would eat for supper. Trying to make sure there will be enough food, especially for our growing daughter for the short five days of our Challenge. Each morning I’d count the slices of bread remaining, and together my husband and I would decide together how much to eat to ensure we wouldn’t run out. When we convinced our 15-year old daughter to join in, we did so with agreement that we would not knowingly shortchange her of food. I can't say enough about how important adequate nutrition is to the lives of children and moms. Thank goodness for school meals programs, the people who prepare them and teachers and other school team members who give out of their own pockets to make sure children don't go hungry. We didn’t count the $2.25 for each of the five days of the challenge that is a very reasonable charge by Bismarck Public Schools for lunch, as if we were eligible for SNAP our daughter would be eligible for free meals at school. If this would have been summer, however, the Challenge would have been much more challenging. We did run out of milk by the end of the fourth day, and I opened up the other carton that was in the fridge. But for those other parents out there who don’t have more milk in their fridges or bread in the bread box, what do they do? Eat less? Not pay a bill? Ask a neighbor? Visit a food pantry? When the home pantry is empty, and wallets are empty, then food pantries can help fill the gap. Food pantries are playing a large role in helping to fill those very kinds of gaps. In fact here in North Dakota, one in 10 of us accessed the Great Plains Food Bank and their charitable feeding network partners in 2012, averaging 39,300 people served each month. 36% served were children; 12% were seniors. Please remember them the next time there is a food drive. 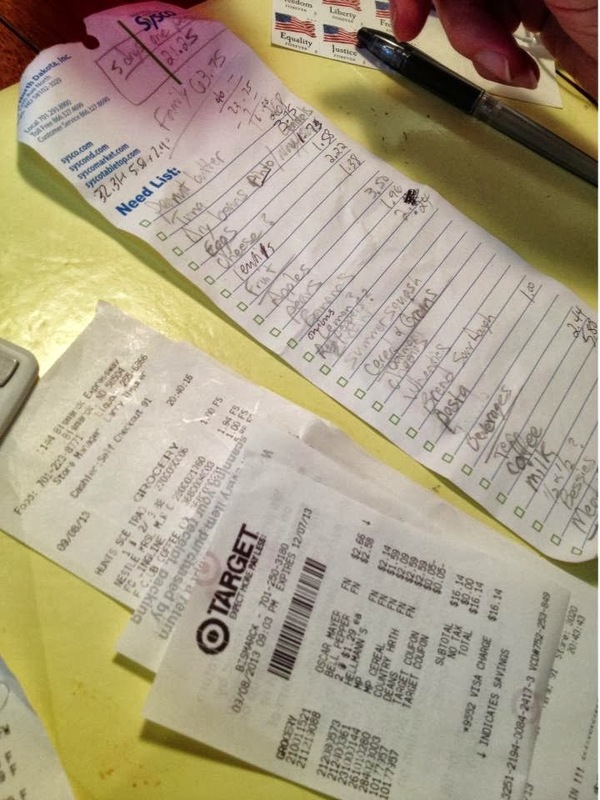 Maybe these posts will help you think differently about the types of food you donate. Miss the food drive? Send cash. Sometimes that’s even better in helping the food bank access its national or regional resources. SNAP benefits are determined off of gross income (plus a lot of other rules) based on 130 percent of the poverty line. So for a three-person family that equals out to $2,116 a month, or about $25,400 a year. In reality, when you make that small an income, the SNAP benefits may be all that is left to spend on food after childcare, rent, car, gas, lights, heat, back-to-school expenses, etc. Anyone that knows me well knows that I don’t belong in the kitchen! I grew up having my meals prepared for me and when I ventured to college the "R" Dining Center was my three buffet a day haven. So as a young professional, I found myself choosing frozen meals and eating out as my go-to, after my cereal all day phase. It's not my habit to plan ahead for meals or even prepare meals that don't require more than a microwave or a pizza pan. I knew that preparing meals was going to be a challenge within the SNAP Challenge. 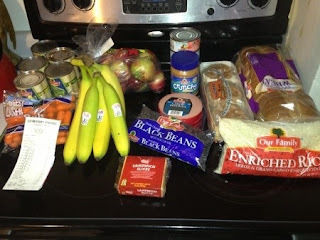 While shopping for the week, I intentionally purchased quick assemble food to get me out the door in the morning and easy to eat between work and community meetings. It was the dinner meal that scared me the most. There was only so much beans and rice I would be able to tolerate and the idea of having to spend much time in the kitchen gave me some anxiety. What if I overcook and ruin the rice, my main dinner starch and filler? Saturday evening I had a couple of hours between commitments and planned to make rice, beans and a vegetable for my dinner with an apple for later in the evening for something sweet. I assumed cooking the dry beans would be similar to the rice (which I have cooked a few times in my life). 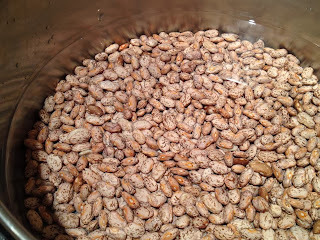 I had two options to clean the beans, the standard way which required them to soak overnight or the quick method which required me to boil them, then let stand for one to four hours. I thought, well if they can sit for an hour, then a half-hour will be fine and still get me out the door in time for my commitment. Have you ever bit into a quickly boiled bean? Hard as a rock! So my rice and beans quickly turned into buffalo chicken corned chowder. 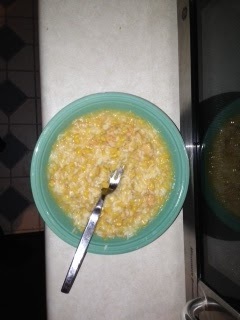 I thought I was pretty clever heating up a can of creamed corn and pouring it over some rice and a can of the buffalo chicken I bought (the regular canned chicken was gone due to a four cans for $5 special). The beans proceeded to soak for a few hours to be used in another evening's meal or to take to work when I get bored of bologna and cheese sandwiches. We all have our own form of busyness in our lives. For many working families, multiple jobs and children's activities requires increased convenience in meal preparation. Single people like me stick to what they know and tend to be more repetitious in their food consumption. An aspect of SNAP that often isn't recognized is the SNAP Ed program, which assists SNAP recipients with budget shopping, advanced meal preparation and low-budget, nutritious meals. In North Dakota, dieticians, educators and extension agents provide classroom style programs, one-on-one consultations and community outings to educate SNAP recipients of the variety of resources available to them to make more healthy and budget-conscious decisions when shopping. It's certainly an aspect of the program that I could have benefited from before taking on the SNAP Challenge! 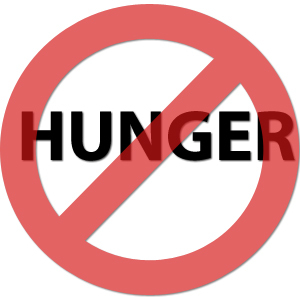 What is Hunger? Day Two for Josh Boschee's SNAP Challenge. It's certainly not something I have legitimately experienced. Sure, I've forgotten to eat lunch from being hyper-focused on a work project or scheduled myself too tight with back to back meetings throughout the day. Although I felt cramps or ended up with a headache, I was always able to swing by the campus coffee shop or be late for a meeting to grab fast food to curb being hungry. Having one full day under my belt of the SNAP Challenge, I'm surprised how much I have been thinking about food. Not just from the perspective of what the Challenge means, but more about when do I get to eat again? When I look at the amount of food that is supposed to sustain me for the remaining six days of the challenge, I get very nervous. I've never had to think about food this way. For me, food has always been available and something I don’t think about as part of my daily routine. Until starting this Challenge, food has been a convenience to me, not a necessity. My thoughts have been overwhelmed by making sure I ration enough each meal so as to have enough through the remainder of the Challenge. I fear I am limiting myself more than I need to ensure I have enough for later. While at work, I found myself planning out each day and the meals I could make to feel the most full, without running out of food. My focus was certainly not on the work I had to get done, but rather how this Challenge I have chosen to participate in, is reality for so many. I am an educated adult who, for the most part, who can rationalize these thoughts and feelings; especially with an end in sight of when I get to go back to eating out of convenience. I couldn't imagine being a child that is hungry and not sure when my next meal will be. 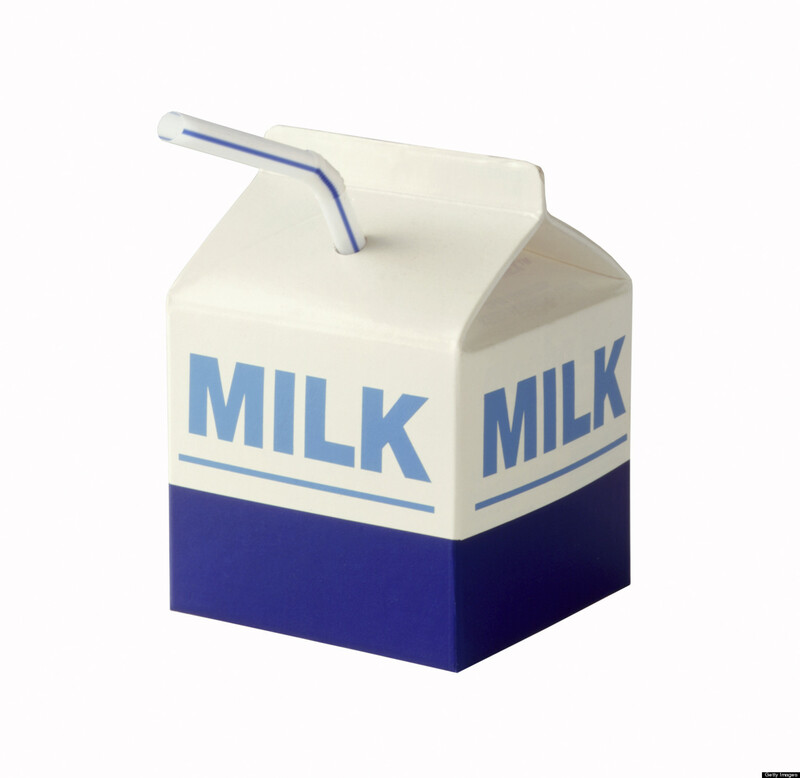 When I introduced the "School Milk Bill", it was at the request of my running mate, Rick Olek, who campaigned on the idea that every child should have access to milk during their school break. Not just the ones whose family could afford the $60 per year. I supported the bill because at a time of billion dollar surpluses, it made sense to me that we could afford to take care the poorest of our state's children. Not only was it about nutrition, but also about ensuring that for $60 a year, most of the children who benefited from the bill would have greater focus in the classroom, leading to higher academic achievement and reduced classroom interruptions. So I put myself in the shoes of a third grade child who is more concerned about if she gets to eat within the next day than completing her math homework, and I can now better understand how hunger is a great un-equalizer for many. John’s keynote address at the Summit, “Standing Up When Great Forces Align Against Us” will touch on important national, regional and state policy issues including the Affordable Care Act, the Farm Bill, immigration reform, hunger and poverty. John will also offer hope for making change where change needs to happen, including the role that all North Dakotans play in having a voice about our future. John will also provide expertise by moderating a group of advocates/lobbyists talking about their legislative successes, and shortfalls, offering constructive criticism and new ideas to make our case to policy makers. Finally, John will help participants learn new tools for community organizing and advocacy (Making Democracy Work) by engaging in interactive problem – solving for the most challenging of issues for low and moderate-income North Dakotans. Don’t miss this opportunity! Register for the Summit today! I've started my journey on the SNAP Challenge with a trip to the Sunmart store near my home. It took approximately 50 minutes to place and replace $29.45 worth of food in my cart to sustain the seven day challenge. I left the store crabby from the process of shopping on a restricted budget and frustrated as I reflected on the fact that this was a way of life for thousands of North Dakotans. I was also $0.56 over budget because the scale near the produce differed from the scale at check-out, causing me to calculate my bananas wrong. In full disclosure, I had planned to start the challenge several days earlier, but I continued to adjust my schedule so that I could travel without being limited by my food budget or to take in an evening of catching up with a friend over appetizers and a cocktail. It wasn't until I was exactly seven days out from the ND Economic Security and Prosperity Alliance and Creating a Hunger Free ND Summit that I assisted in planning and agreed to serve on a panel to discuss my SNAP Challenge experience. With my feet to the fire, I recognize the privilege I have in this challenge of making the experience as convenient as possible to my way of life and that if I don't succeed in the challenge I have a healthy bank account to access for food funds. 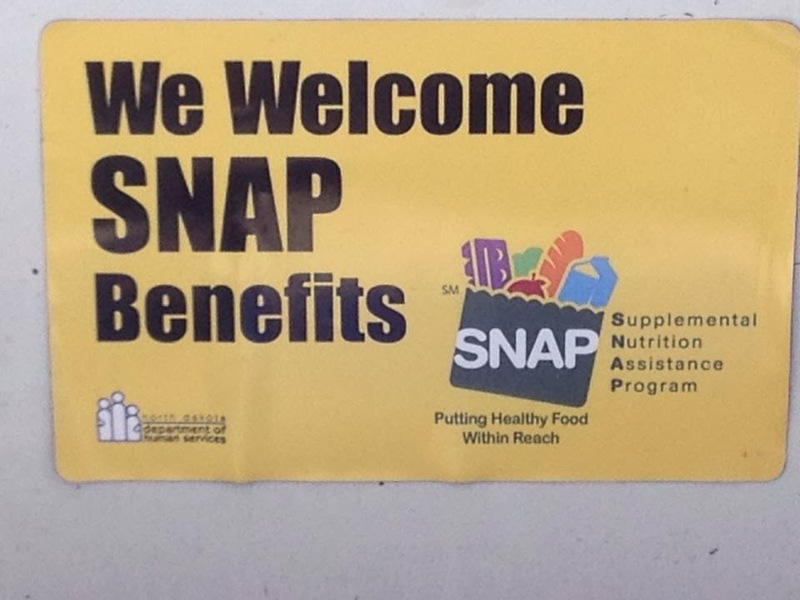 I took on this challenge to gain a better understanding of the experiences of North Dakotans who access SNAP (Supplemental Nutrition Assistance Program) as a way to feed themselves and their family. While we currently hear the political rhetoric associated with SNAP and the Farm Bill, the reality is that SNAP is essential to approximately 27,200 households in North Dakota. As a policy maker who wants to work towards solutions that advance people and families out of poverty, I think it is important to gain a better understanding of current programs and how individuals/families work within the program. Stay tuned as I document my experience and gather information from others throughout the week! More working families and those attending school now qualify for help with child care costs through the North Dakota Department of Human Services. 2013 Legislation increased the qualifying income levels to 85% of the state median income making more families eligible and reducing family co-payments. The ND Child Care Assistance Program is available to families participating in an approved activity such as employment or school. "The cost of child care can take up a large portion of a family's income," said Carol Cartledge, Department of Human Services' Economic Assistance Policy Division director. "These changes will help more working families afford quality child care for their children." According the ND Department of Human Services website, a family of four can now earn up to $5851 a month and still qualify. Most families pay a co-payment, which is the amount you are required to pay towards the costs of child care. Families must pay their co-payment and any costs charged by the child care provider that are not covered by the Child Care Assistance Program. Applicants must provide a form of identification, children’s birth certificates, pay stubs for all income in the previous and current month and a schedule for their approved activity such as work or school. Costs for care have risen. According ND Child Care Resource & Referral, in 2012 infant care cost an average of $612 per month/child at a child care center and $544 per month/child for 3- to 5-year-olds. In 2009 those numbers were $592 per month and $516 respectively. The passing of this child care related legislation provided significant child care fee relief for the families purchasing child care. Families are encouraged to visit the ND Department of Human Services website for more information. Families may apply online or print an application. The department has also made available online the sliding fee scale which outlines the various income levels and co-payments a family may be responsible for. Child Care Resource & Referral helps parents find child care by providing computer generated lists of licensed child care programs that meet the family’s specific child care needs. 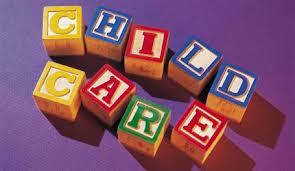 If you would like additional child care related information, please contact 1-888-223-1510.